Have a baby shower penciled into your calendar? How exciting! Before we get started, most baby showers are a little less dressy—but just make sure you peek at the dress code that may or may not be on the invitation. Here’s what to wear to any baby shower on your calendar. Some showers can be pretty laid back, hosted at perhaps the grandmother-to-be’s house or a casual restaurant. If it’s a casual affair, keep your look simple with a printed blouse and a pair of great jeans. Bonus points for trend-forward denim with a little flair like cropped straight-legs or embellished jeans. Be clever with your accessories and add a great pair of shoes to pull your look together and dress things up. Maybe the shower will be at a dressier venue like a fancy restaurant or country club. In this case, step up your look with easy separates that still look chic. 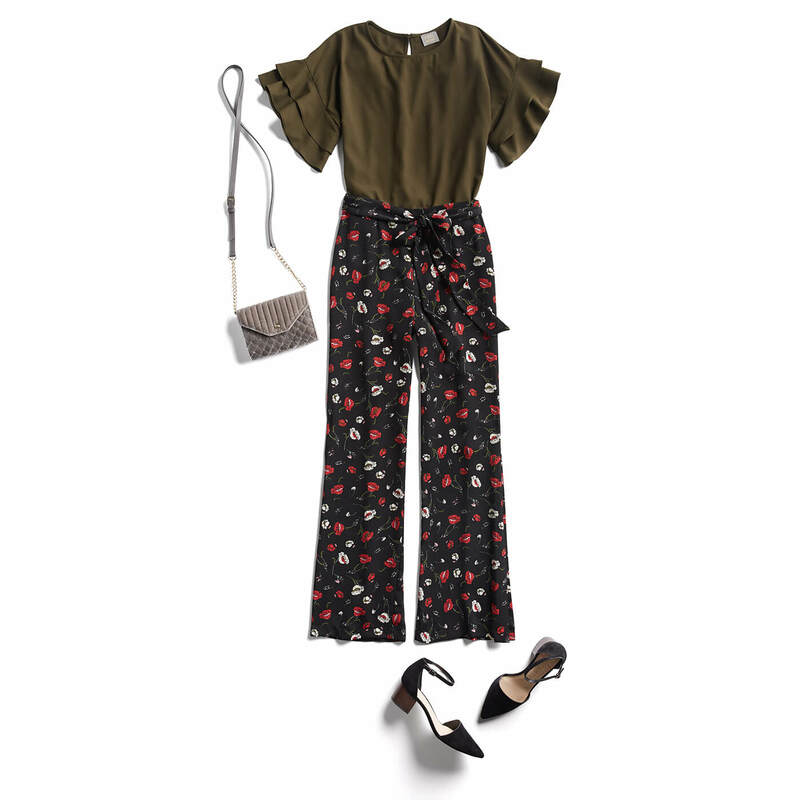 To celebrate the upcoming bundle of joy in style, try out wide leg pants or jeans topped with a coordinating blouse and a modern, mid-height block heel. Then there’s the kind of shower that’s announced with a gold-embossed invitation. This is the time to pull out all the dressy, feminine stops so think polished and choose a silky cocktail dress or a silky top paired with just as dressed-up pants. Remember that showers are a joyful occasion so let your look reflect the warm, well-wishes you have for your expectant friend and you can’t go wrong! Have your own tips for dressing for a baby shower? Tell us in the comments!